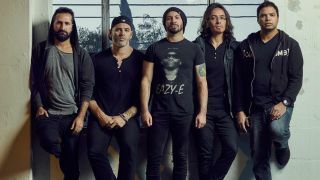 Periphery have announced their return by releasing a video for their new single Blood Eagle and revealed details of their next studio album. The follow-up to 2016’s Periphery III: Select Difficulty is titled Periphery IV: Hail Stan and it’s set to arrive on April 5 via their own 3DOT Recordings and Century Media Records. Guitarist Mark Holcomb adds: “I think you can hear the adventurous intent behind much of this material as a result. The Jeremy Danger and Travis Shinn-directed video for Blood Eagle can be found below, along with album details and a list of Periphery’s upcoming tour dates with Dance Gavin Dance.